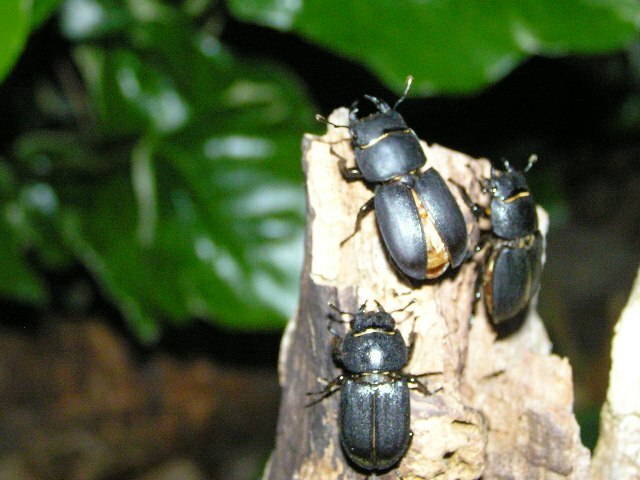 Stag beetles belong to the order Coleoptera, family Lucanidae. The Lucanidae is a very large family with between 800 to 1,250 species worldwide, and this site covers just a few. The first three species are the only ones that presently exist in Britain. The forth has become extinct in Britain, it now occurs in central Europe. The others occur in North America. Lesser stag beetles Dorcus parellelipipedus. Photo by Mark Wagstaff. Identification guide - Basic photos to help you identify your beetle correctly.